India‘s largest luxury car manufacturer Mercedes-Benz today, enhanced its C- Class portfolio with the addition of the new ‘Edition C’. The ‘Edition C’ hosts new exterior and interior upgrades, enhancing the sportiness of the existing C-Class. With the Edition C, Mercedes-Benz now adds yet another exciting paint option to the C- Class in India–the designo Hyacinth red. 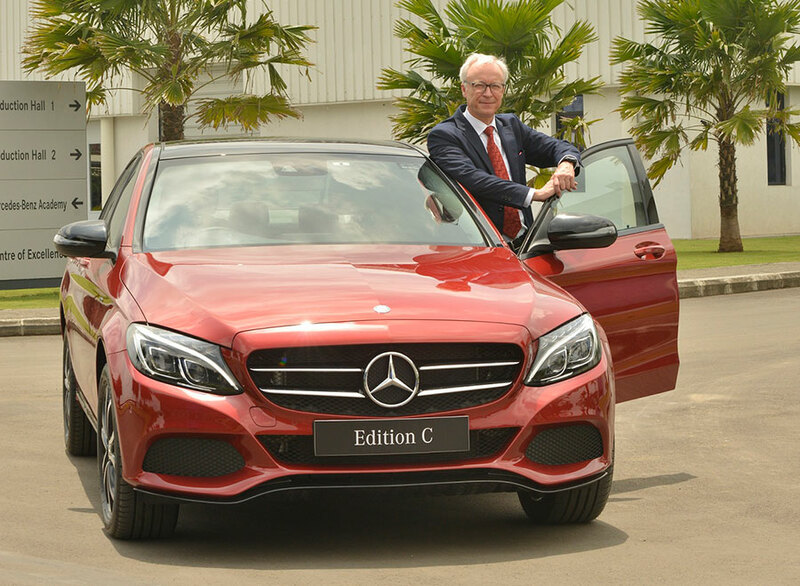 The C-Class ‘Edition C’ was launched by Roland Folger, Managing Director and CEO, Mercedes-Benz India, and will be available across all Mercedes-Benz dealerships in the country, from today. The Mercedes-Benz C-Class ‘Edition C’ is available with C 200, C 220 d and C 250 d Avantgarde variants. You can add more to this story by commenting in roads discussion forum.